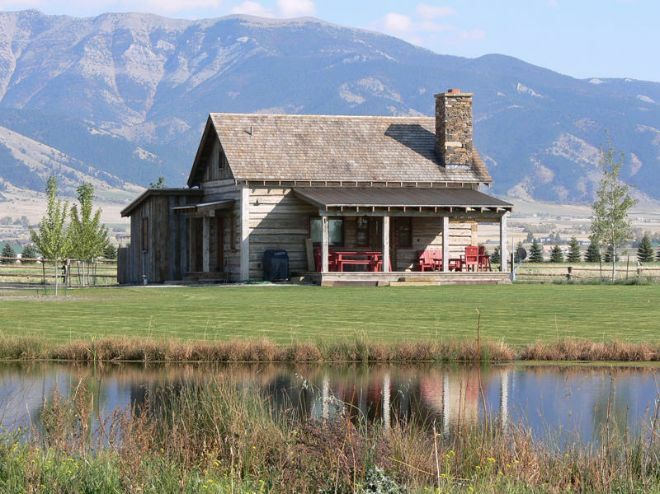 Many of us long for the idyllic green grass, rolling mountains, and wide-open skies of a bygone wild west but are at a loss when it comes to making that dream a reality. 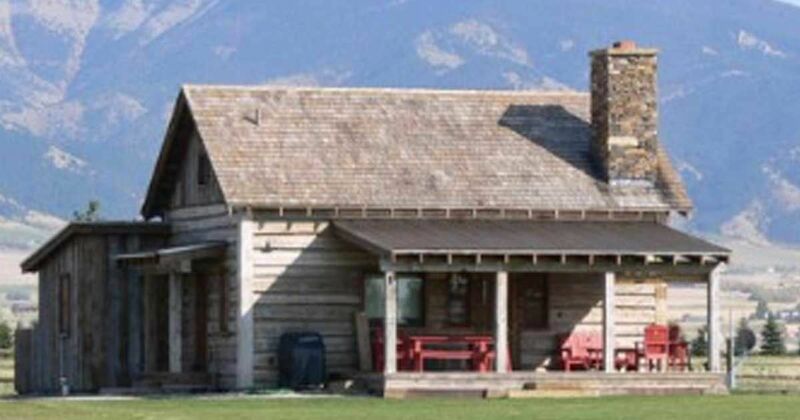 This custom-built cabin in Montana, meticulously constructed by Swaback Partners, looks perfectly at home on the range. 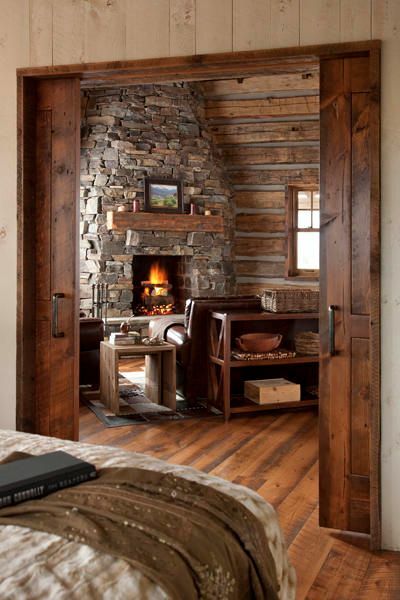 As breathtaking as its surroundings are, this cabin still shines. The red furniture on the porch is a striking pop of color but does not overwhelm the beauty of the landscape, nor the simplicity of the cabin's exterior. It's the perfect vantage point to take in the view as your enjoy your morning cup of coffee. 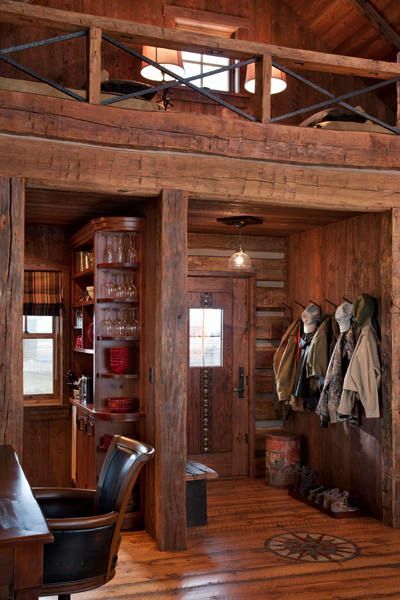 The entryway has its own miniature mudroom adjacent to the kitchen and just below the loft which houses additional quarters for guests. 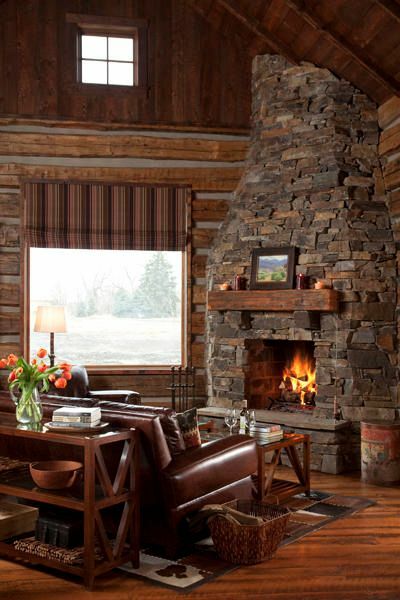 The undeniable focal point of the great room is the stunning stone fireplace, which provides a cozy atmosphere. 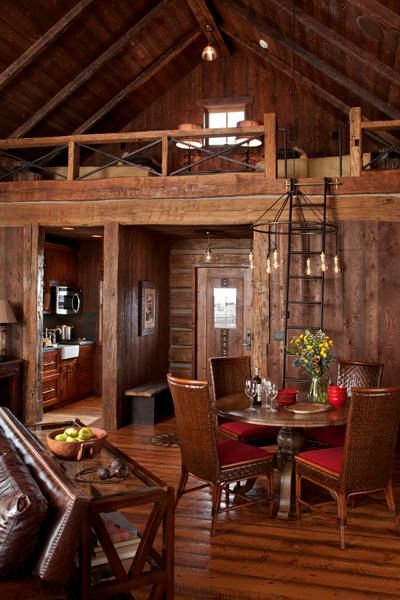 Just behind the couch is the dining table and the ladder that leads up to that charmingly rustic loft. You can also catch a glimpse the kitchen from this angle. 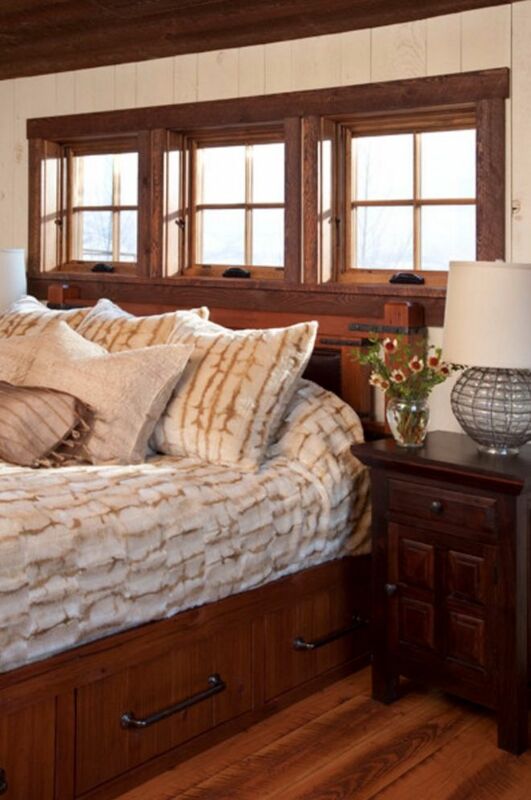 From the great room, you can see the dramatic double-doored entrance to the master bedroom. The decor of the master bedroom contrasts with the rich wood walls in the rest of the house, transforming it into a bright and airy space. 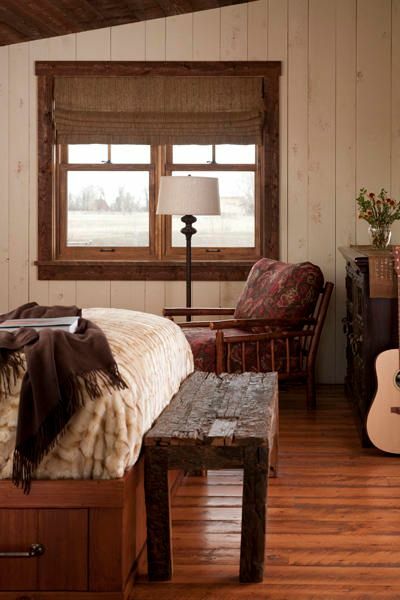 We love the rustic touches in this otherwise modern space — especially the bench at the foot of the bed and the chair in front of the window. Of course, should the desire to write a love song to the cabin arise, there's a guitar waiting to be strummed. 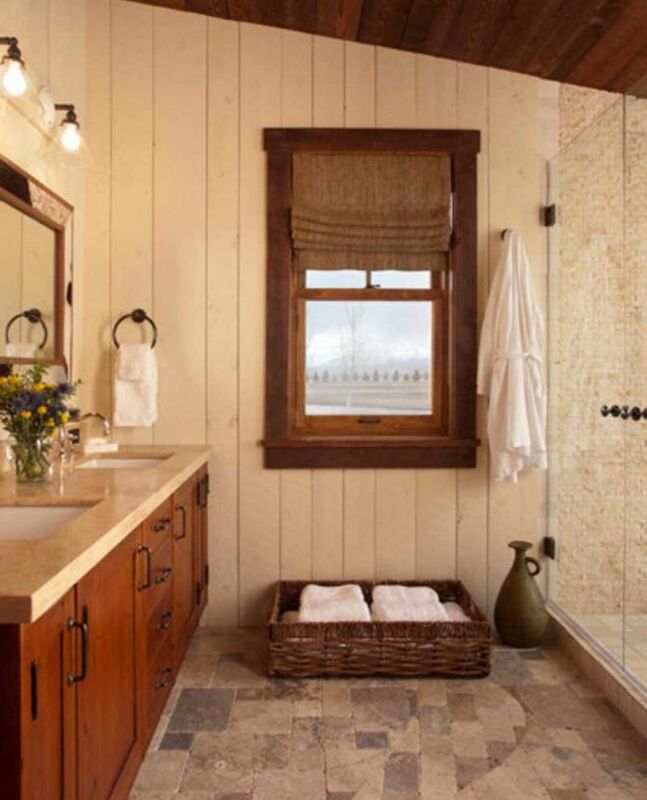 In keeping with the brightness of the bedroom, the bathroom is equally cheery. Not a bad sight to wake up to each morning, don't you think? 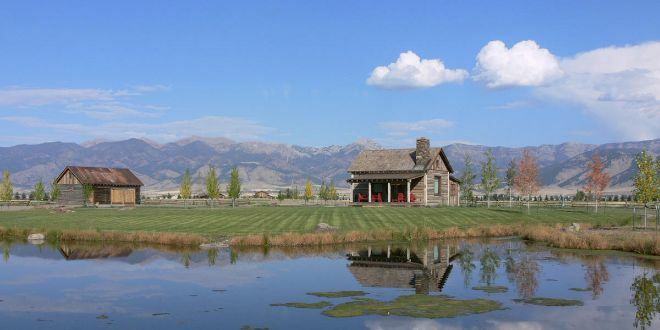 Has this picturesque cabin inspired you to seek the wide open spaces? Be sure to SHARE with other cabin enthusiasts!